Professor Cameron-Smith takes us through different varieties of fat and what they do to our bodies. At any given time, there are around 600 different types of fats (or lipids) circulating in our blood. Known to scientists as the lipidome, these fats supply energy, maintain the function of cells, are converted into stress hormones, act as nerve conductors and insulate soft and delicate tissues. Let’s break down how fat works in the body and how we can use this to maintain a healthy lipidome. Fats are chains of carbon atoms with hydrogen atoms joined on the side. Saturated fat is fully saturated with hydrogen. If the fat is missing just two hydrogen molecules, it is a monounsaturated fat. With four or more hydrogens missing, it is a polyunsaturated fat. Why are saturated fats dangerous for health? Some saturated fats bear an uncanny resemblance to the outer coating of bacteria. In the blood, they are recognised by immune cells and trigger an alarm response, where the immune cells respond by internalising the fat. These fatty and angry immune cells have a tendency to stick to the blood vessels in the heart. Fast-forward a few short years and you have the beginning of a blockage and heart disease. Saturated fat or cholesterol – which is worse? Cholesterol and saturated fat act together to increase heart disease risk. Cholesterol is a complex type of fat made in the liver. A diet containing saturated fat pushes the liver to make more cholesterol. This extra cholesterol is packaged, along with the saturated fat, into special delivery spheres known as a lipoprotein. Going out from the liver are low-density lipoproteins (LDL), which are often known as ‘bad’ cholesterol if full of saturated fat. LDLs attract immune cells, linking cholesterol and saturated fat to heart disease. But what about ‘good’ cholesterol? Bringing cholesterol and other valuable fats back to the liver for recycling is the job of the high-density lipoproteins (HDL). This good cholesterol is higher in people who maintain a healthy weight and who exercise. Fats can also be stored in an amazing storage organ known as adipose tissue, or what we commonly know as our body fat. This tissue is able to store just about all the fats you eat, not matter how much. This is because fat cells can expand and contract, and you can even make more fats cells from stem cells deep within adipose tissue. When you lose weight, fat cells shrink and some even die, but there are plenty of fat stem cells waiting. Why are monounsaturated fats healthy? Monounsaturated fats themselves are not particularly healthy. Monounsaturated fats do very little to either LDL or HDL levels and tend just to be just stored and used for energy. It is the powerful antioxidants found in extra-virgin olive oil that is likely to be beneficial for heart health. What’s an omega-3 polyunsaturated fat? Polyunsaturated fats come in two major varieties, the omega-6s and the omega-3s. Omega-6s are found in high levels in most vegetable oils. These fats are not particularly unhealthy, but the western diet contains very large amounts. 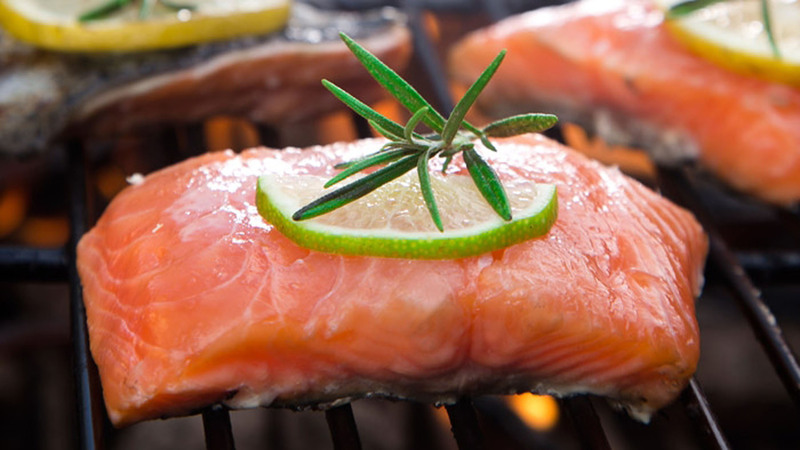 Omega-3s are extremely rare in the western diet. These fats have remarkable anti-inflammatory powers, working to take the sting out of immune cells and reduce heart disease risk. Most people have too much fat in their diet. Limiting total fat intake is important for a healthy heart and to improve the waistline. This includes cutting out dangerous saturated fat where possible. Yet some fat is important in the diet, including omega-3s from seafood and healthy monounsaturated fats in extra-virgin olive oil as a dressing for sensational summer salads.